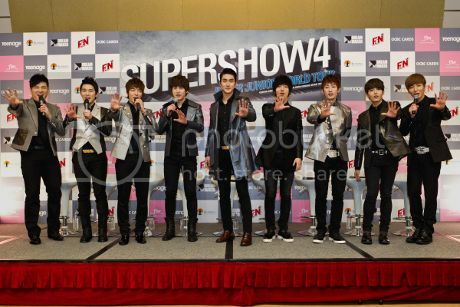 Super Junior-M finally in Malaysia this November 2012? We think that Marctensia has been hinting via Twitter that Super Junior-M will be coming to Malaysia soon. Do you agree? It seems like we will be experiencing a wave of k-pop performances from now till the year-end with previous confirmed dates for B1A4 & A Pink’s High-5 Session (Sept 30th), T-Ara’s showcase (Oct 3rd), Wonder Girls’ Wonder World Tour (Oct 13th) and Big Bang’s Alive Concert Tour (Oct 27th). Following that, rumours are rife that Lee Seung Gi may be dropping us a visit soon. We also heard that 2ne1 will finally wash up to our shores for their New Evolution World Tour, some time in November. 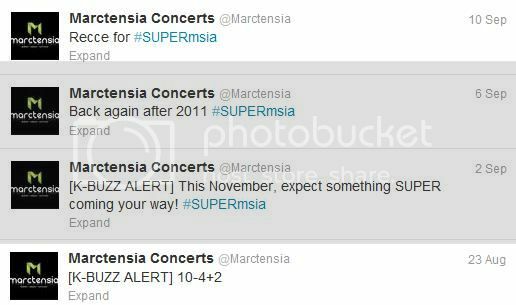 Keeping up with the trend is events management company, Marctensia who has been teasing the local k-pop fans through their Twitter account for the past few weeks with subtle hints like “10-4+2”, “This November, expect something SUPER coming your way” and “Back again after 2011”. Naturally, much hype has been generated as to which k-pop act it will be but judging from their latest tweets, which have been tagged with #SuperMsia, it is more than likely that they are making references to none other than Super Junior, or its sub-unit, Super Junior-M.
Will it be Super Junior, Super Junior-M or perhaps both? To the uninitiated (if there is any even), there are currently 10 active members in Super Junior. 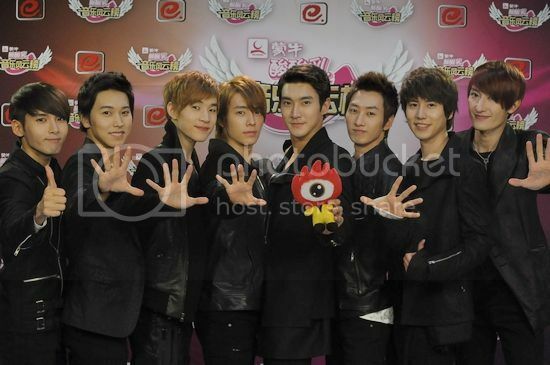 Meanwhile, 6 of the younger members in the group (SungMin, DongHae, EunHyuk, SiWon, RyeoWook and KyuHyun) make up Super Junior-M, together with Zhou Mi and Henry Lau, which cater for the Chinese-speaking K-Pops fans. They debuted in 2008 and has since released 1 album and 2 mini-albums with the latest being “Perfection” in late 2011. Local ELFs were disappointed earlier this year when their hopes for Super Show 4 in Malaysia were dashed but it looks like they might just be rewarded in November! Will it be Super Junior-M’s first fan-meeting here or a full-fledged mini-Super Junior concert? Only Marctensia can tell. The last time Super Junior performed in Malaysia was back in December 2011 during the Most Amazing (MO.A) Concert. andwae!!!!! SPM is on that month!! !